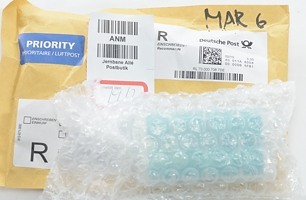 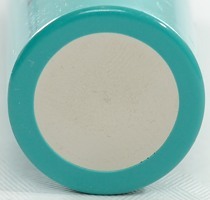 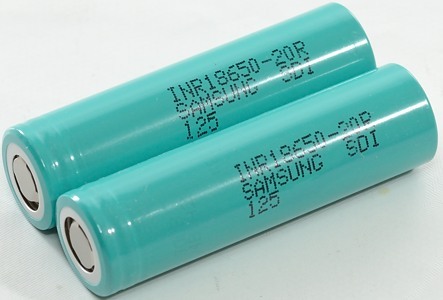 This battery is designed for high current, this does also mean that the capacity will be low. 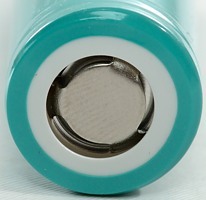 As can be seen it can deliver about 2000mAh at up to 20A current. 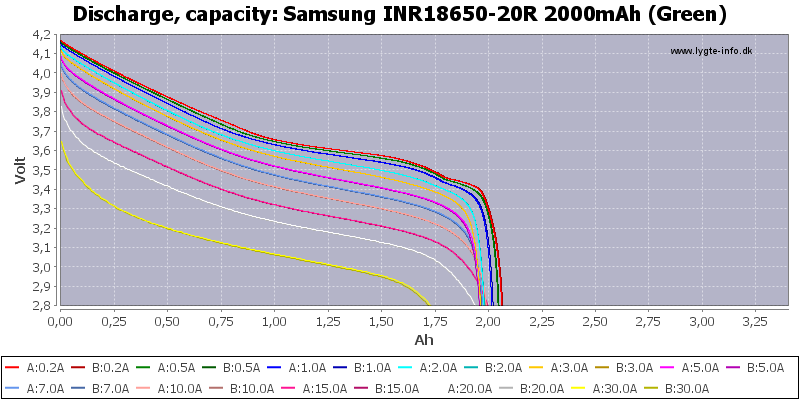 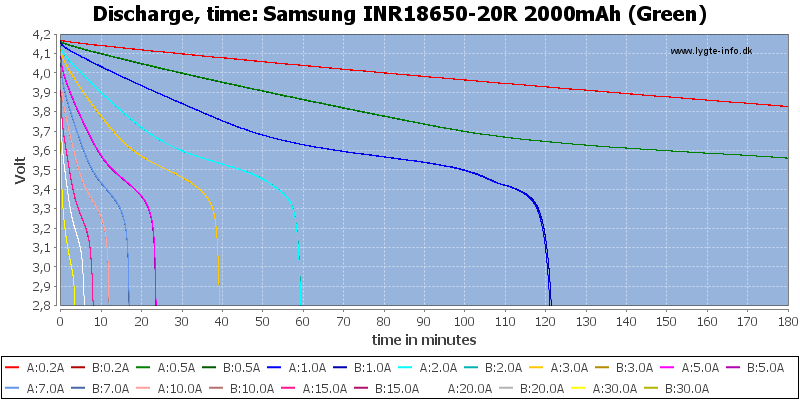 The capacity increases at 15 and 20A, this is probably because the battery warms up. 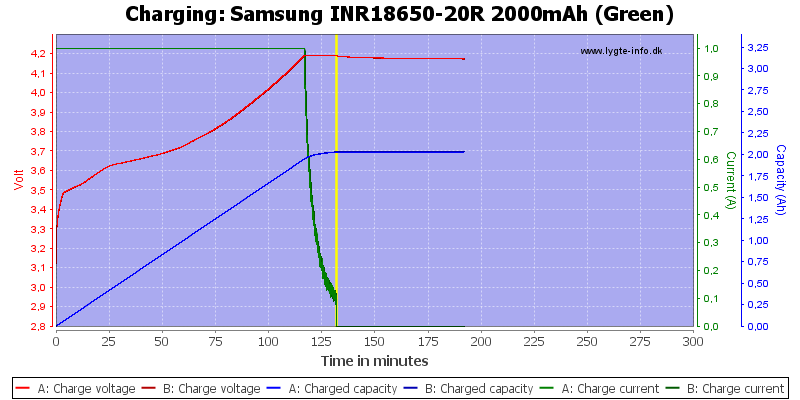 The two cells does also have a very good tracking. 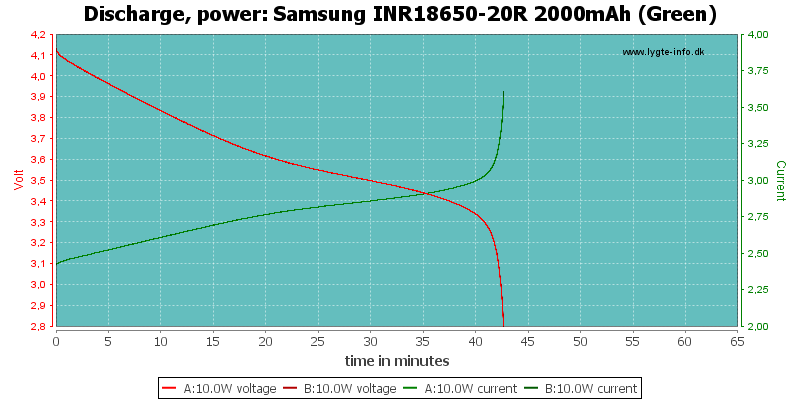 With a 20A discharge, the battery will only last for 6 minutes! 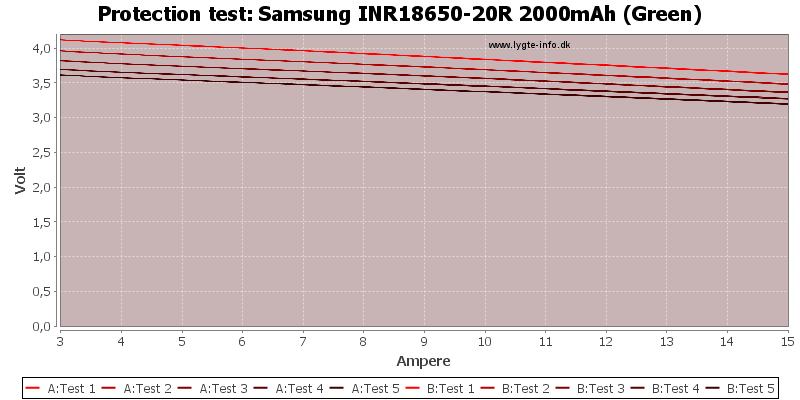 Being from Samsung this is a very good battery that can deliver a lot of current. 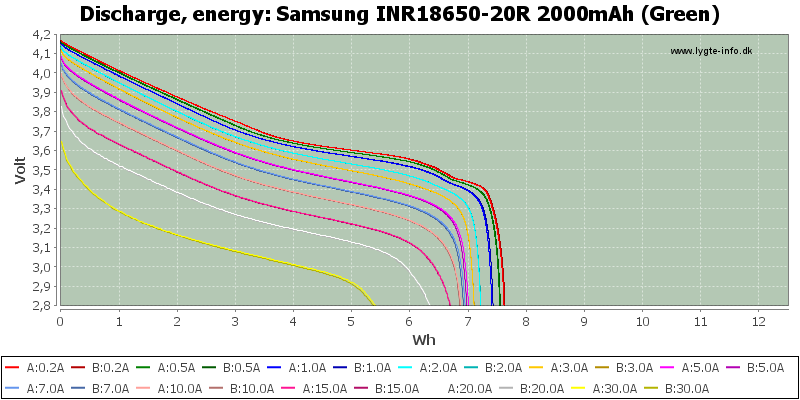 Where this battery is really interesting is at 10A and above.